Europeans and Asians currently operate the fastest high-speed trains in the world, regularly commuting on trains such as the Shanghai Maglev and Harmony CRH 380A. While these two currently hold all the records, other fast trains, such as the HEMU-400X, Zefiro 380 and Talgo Avril, are close contenders for the crown of world’s fastest trains. Here’s a list of ten of the top fastest trains currently in service. Shanghai Maglev tops the list with its maximum operational speed of 430km/h and average speed of 251kmph. The Maglev started commercial operations in April 2004. It runs on the 30.5km Shanghai Maglev Line, which is the first commercially operated high-speed magnetic levitation line, extending from Longyang Road Station of Metro Line 2 and ending at Shanghai Pudong International Airport. 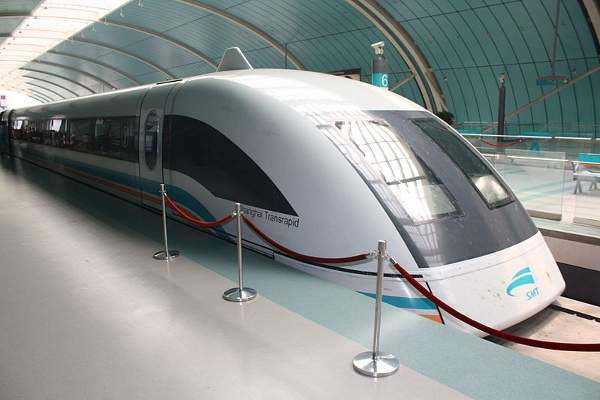 Shanghai Maglev is owned and operated by Shanghai Maglev Transportation Development Co. (SMTDC). The train was constructed by a joint venture of Siemens and ThyssenKrupp. Harmony CRH 380A, with maximum operational speed of 380kmph, is currently the second fastest operating train in the world. The electric multiple unit (EMU) set a record by speeding at 486.1kmph during its trial operation on the Shanghai-Hangzhou intercity high-speed railway in December 2010. The CRH 380A was put into operation in October 2010. It operates from Beijing to Shanghai and provides daily service along Wuhan to Guangzhou route. The vibration free train was constructed by CSR Qingdao Sifang Locomotive & Rolling Stock. Its high design speed is a result of research carried out at various Chinese universities. AGV Italo is the first train in the AGV Series which entered into service in April 2012. It has a maximum operational speed of 360kmph. The train is fitted with traction system that broke a record speed of 574.8kmph in April 2007. Considered to be the most modern train in Europe, AGV Italo was built by Alstom. 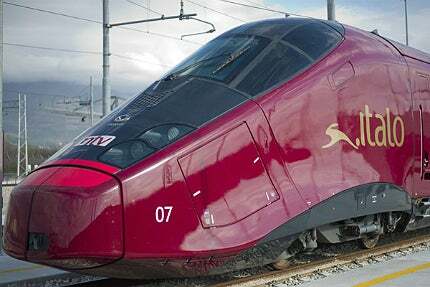 The train currently runs on the Napoli – Roma – Firenze – Bologna – Milano corridor. The train complies with the European TSI interoperability standard, which includes safety, reliability and availability, health, environmental protection and technical compatibility. 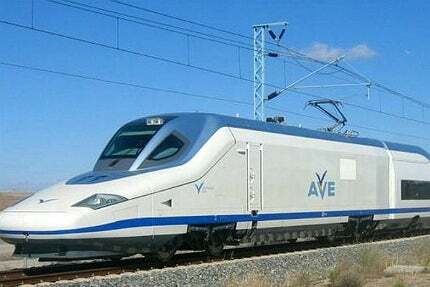 Velaro E, designated as AVE S 103 in Spain, is the fastest series-production high-speed train in the world. It achieved a whopping speed of about 400kmph during its test trips in Spain. The train possesses an operational speed of 350kmph. 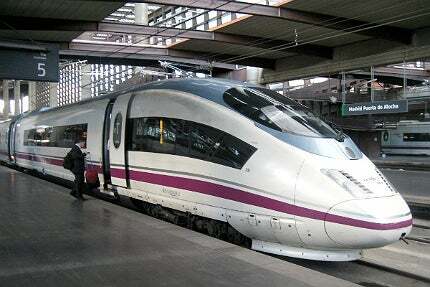 The train was ordered by Spanish National Railways Renfe, and operates on the Barcelona-Madrid line. It was delivered in July 2005 and began operations in June 2007. The design of the multiple-unit train was founded on the latest developments of the successful ICE 3 trainset designed for Deutsche Bahn. Talgo 350, which initially entered service with the name RENFE AVE Class 10, achieved a maximum speed of 365kmph during its trial run. The train has a maximum operational speed of 350kmph. T350 was developed by Patentes Talgo (Tren Articulado Ligero Goicoechea Oriol) and manufactured by Patentes Talgo in collaboration with Bombardier Transportation. Commonly known as El Pato (meaning The Duck in Spanish), the train has been operating on the Madrid-Zaragoza-Lleida section of the Madrid-Barcelona line in Spain since 2005. There are currently more than 46 operating trains of the series in the country. E5 Series Shinkansen Hayabusa trains, which entered service in March 2011, with an initial maximum speed of 300km now run on the Tohoku Shinkansen Line with a maximum operating speed of 320kmph. 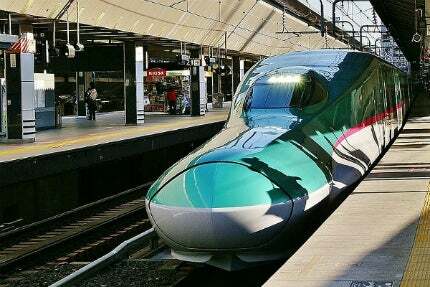 Currently the fastest in Japan, the train achieved a speed of about 400kmph during trials. The train was manufactured by Kawasaki Heavy Industry (KHI) and Hitachi, while East Japan Railway Company (JR East) is the operator. The train features full active suspension (FSA) system, which reduces the vibration of the moving bogies, and a 15m long nose which reduces the sound blast in tunnels. Alstom-built Euroduplex is the third generation of TGV Duplex, which entered service in December 2011. The trains in the series are touted to be the only double-decker, interoperable high-speed trains capable of running on European networks at 320kmph. The Euroduplex was initially introduced on the Rhine-Rhone LGV high-speed rail line. The train is capable of transporting 1,020 passengers (multiple units), compared to TGV Duplex which transports about 512 passengers. 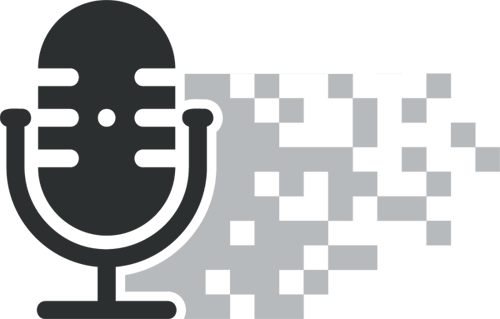 Euroduplex trains are designed to operate on French, German, Swiss and Luxembourgish rail networks. They are equipped with traction systems adapted to different electric currents used across Europe. Some of the trains in the series will also be capable of operating in Spain. 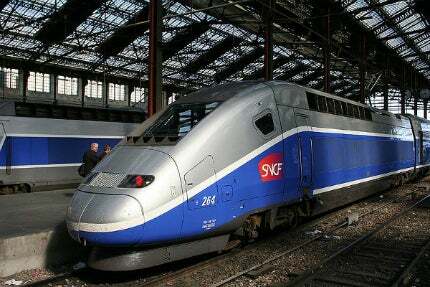 TGV Duplex was manufactured from 1996-2004. They are operated by SNCF and were manufactured by Alstom and Bombardier. 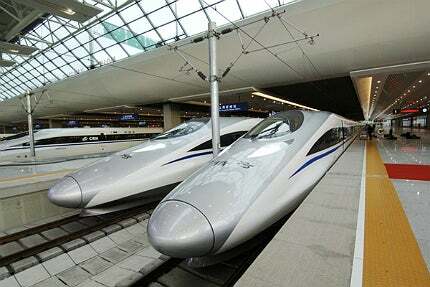 The trains can reach maximum speeds of 300kmph to 320kmph. TGV Duplex is Alstom’s first third-generation double-decker/duplex train. It provides a seating space for 512 passengers in its upper and lower decks. The train is constructed of aluminum to reduce weight. 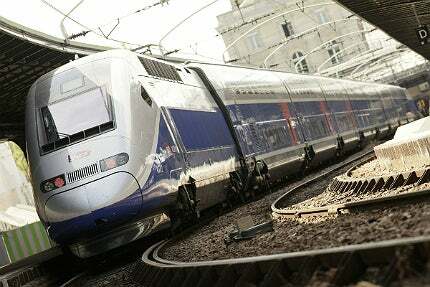 The trains in the TGV Duplex series mainly run on the TGV Méditerranée line between Paris and Marseille. More than 450 TGV series trains are currently serving 230 destinations. Elettro Treno Rapido 500 (ETR 500) Frecciarossa trains entered into service in 2008. The trains are designed for a maximum speed of 360kmph and currently run at 300kmph on high-speed lines. The Frecciarossa (Red Arrow) is a renovated version of the ETR 500. The renovated trains operate between Rome and Milan. The cars are equipped with climate control and sound insulation, and feature ergonomic seats to provide maximum comfort. 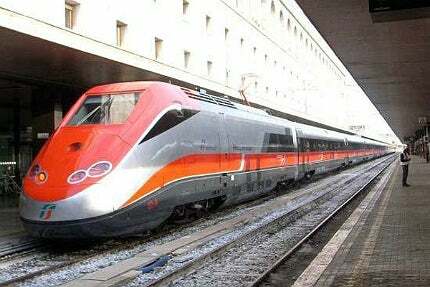 The trains in the fleet are operated by Trenitalia and manufactured by TREno Veloce Italiano (TREVI), a consortium of Alstom, Bombardier and AnsaldoBreda. 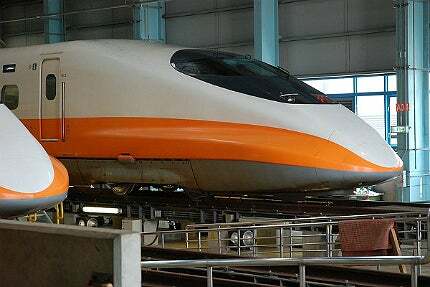 The THSR 700T operates on the high-speed line between Taipei and Kaohsiung in Taiwan. The train entered into service with Taiwan High-Speed Rail in January 2007. It operates at a speed of 300kmph reducing the journey time between the two cities from four hours to just 90 minutes. It was constructed by Kawasaki, Hitachi and Nippon Sharyo. Based on Kawasaki’s 700 series Shinkansen trains, the 700T was the first Taiwanese rolling stock to import Japanese high-speed rail technology. The total investment for manufacturing the initial 30 trains in the series reached about NT$100bn ($3.4bn).